Good afternoon everyone. How is your Christmas clean-up going? I finally got the last of the decor taken down and put away today. This is later than usual for me and I know that I will most definitely find one lone straggler that is hiding from me later. Does that happen to you? With the Christmas purge I always feel like I need to organize those areas of my life and home that are just not performing like I think they should. I know most of you do the same thing. So I thought I would bring together some of the organizational tools I have used to get my work area to function better for me. 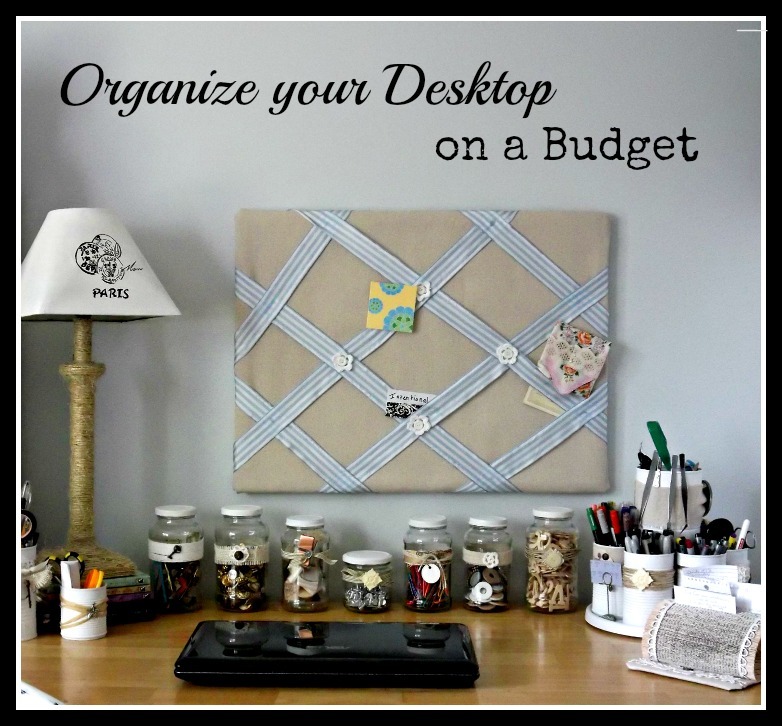 Not only do these do a great job of organizing my desktop - they are also budget friendly and actually can be free if you utilize things you have lying around the house. 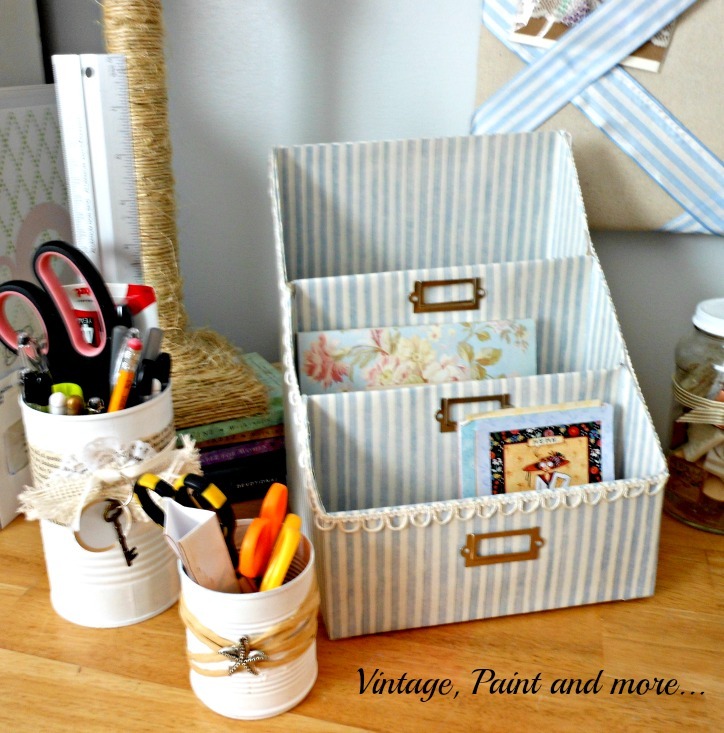 One of the first organizational tools I wrote about was my tin can desk storage. My desk was always a mess and covered with pens, pencils and scrapbook tools so I needed a way to corral them. I decided to recycle some old tin cans to keep them sorted by use. I love this and am still using it today. 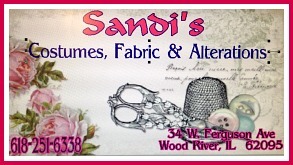 It is so versatile it can be used anywhere for multiple items and the great part is it's free if you use embellishments you have on hand. I also had some tiny embellishments and craft items that needed to be in some sort of easy storage where I could see them and then use them. So I decided to make some fun jar storage to take care of this problem. Another free storage solution if you use what you have on hand. Do you have trouble with little pieces of paper with notes collecting on your desk like I do? Another great desktop organizer is this paper organizer made from cereal boxes then prettified with paper I had. I could probably use a couple more of these they are so handy. Another freebie if you use what you have on hand. Then there were all those business cards, appointment cards and reminder cards scattered all over the desk and on the refrigerator to get organized. So I used an old book to make a book page note holder. It works like a dream. Another freebie if you have everything on hand. These four items have made my desk so much neater and easier to work at. I love having everything at my fingertips so I can easily use them. And like I said the best part is it's budget friendly - using all the things you have lying around the house. What do you think? 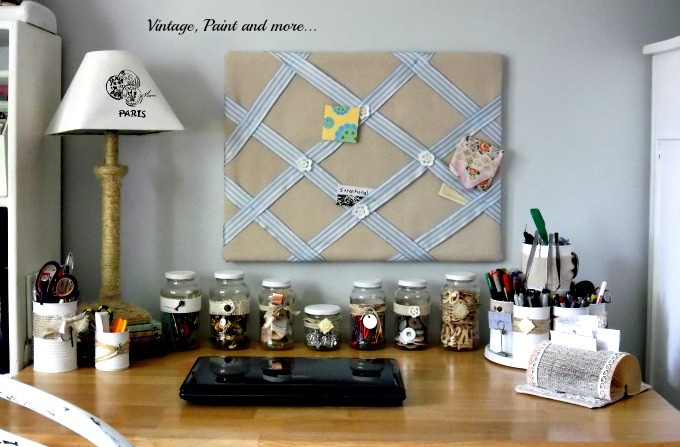 Do you need some organization in your work space? I love to hear from you so leave me a comment below and I will answer you via email. I will be joining the parties that are listed on the Where I Party at page. 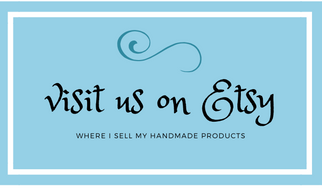 Please visit them - I am sure you will find a lot of great inspiration. Wow! 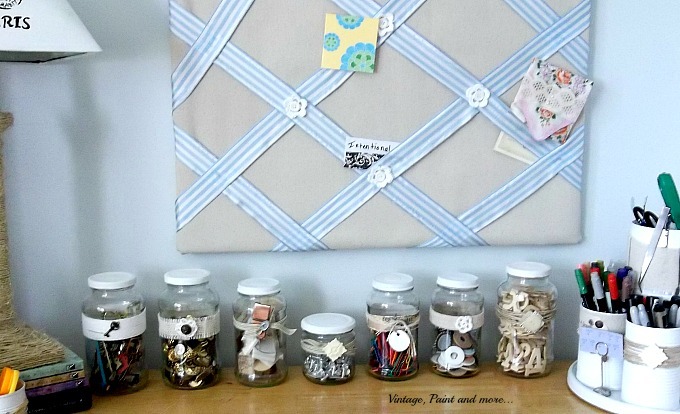 Love all of these recycles and organizing! 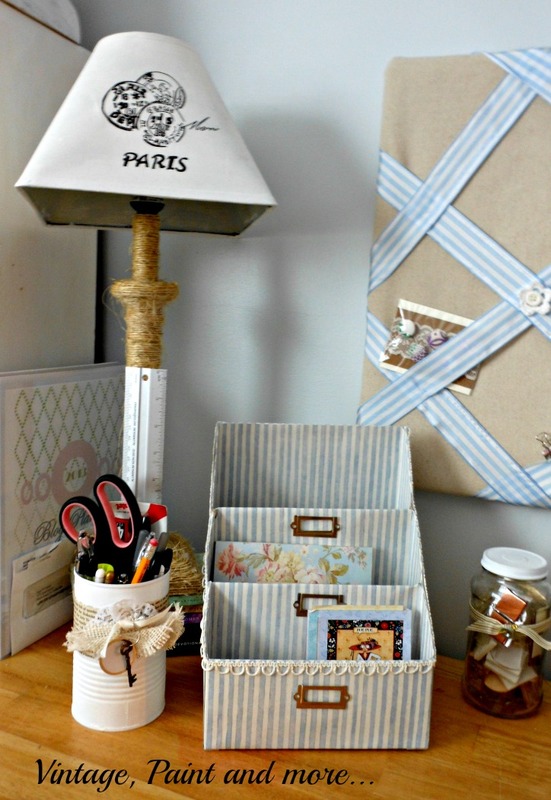 (Especially the book page organizer) So clever and pretty! 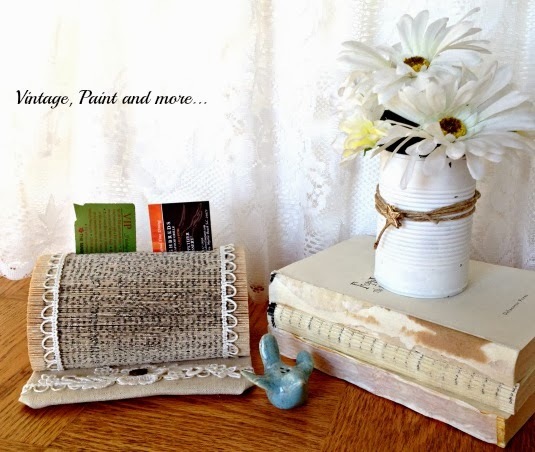 Such great, inexpensive, ideas. We just remodeled our office and I am looking for some ideas for organization. Thanks for sharing! It turned out so great! I love all your ideas, and you are so creative using all the things you already have in the house. You have given me some inspiration! Thank you! Cathy...these are some really great ideas!!! 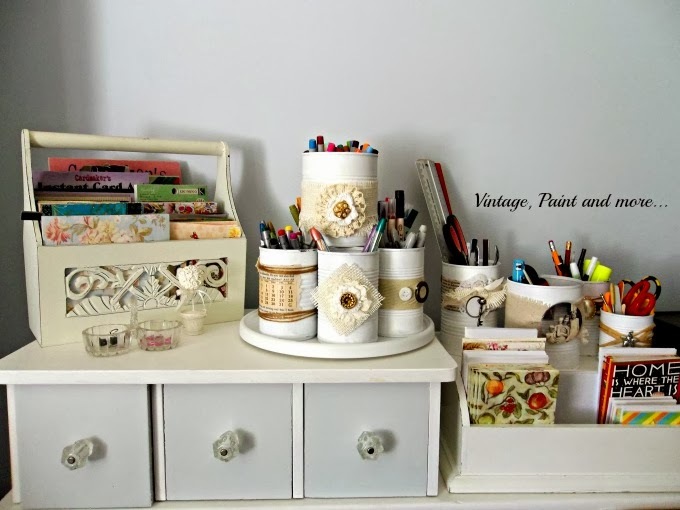 I love all of your creative ideas for organizing Cathy! Thanks for sharing with SYC.